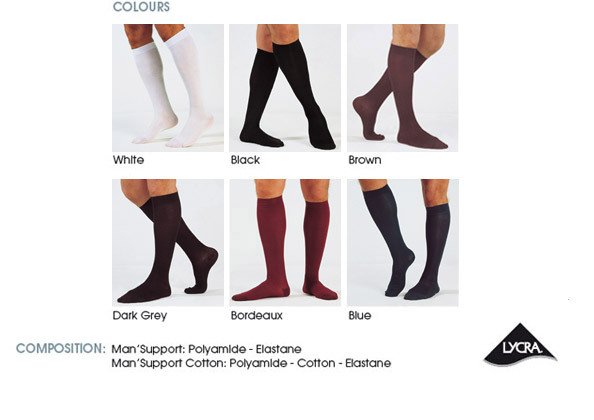 Preventive socks of high quality, available in several colours and 2 compression selections. Their elegance and comfort permit wearing them throughout the day whether at work or leisure. The cotton style provides increased transpiration and reduced allergies. 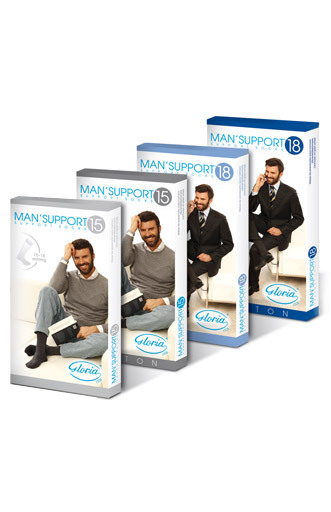 Support socks physician-recommended for prolonged standing, sitting or travelling. For tired and heavy legs. 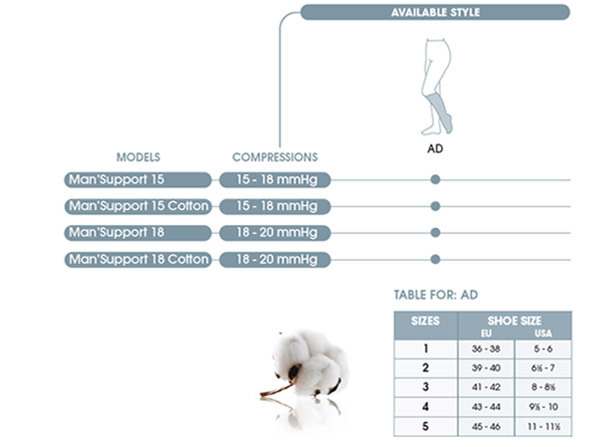 Designed specially to provide therapeutic benefits and compression in presence of heaviness and fatigue in the legs. Prophylaxis of venous disorders in patients at risk.